Our new website has been built and designed by Marketpath, Inc., an Indianapolis-based company that specializes in helping small businesses grow and improve with effective website and digital marketing. 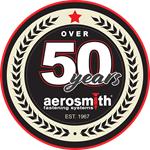 In addition to showcasing our products, the new site also features our possible industry and applications for Aerosmith® products and tools. Our new site has also been made responsive (mobile-friendly) for your handheld devices. It’s now easier to keep up with us when you’re on the go. Please take some time to explore our new site, and let us know about your experience. We would love to hear your feedback!